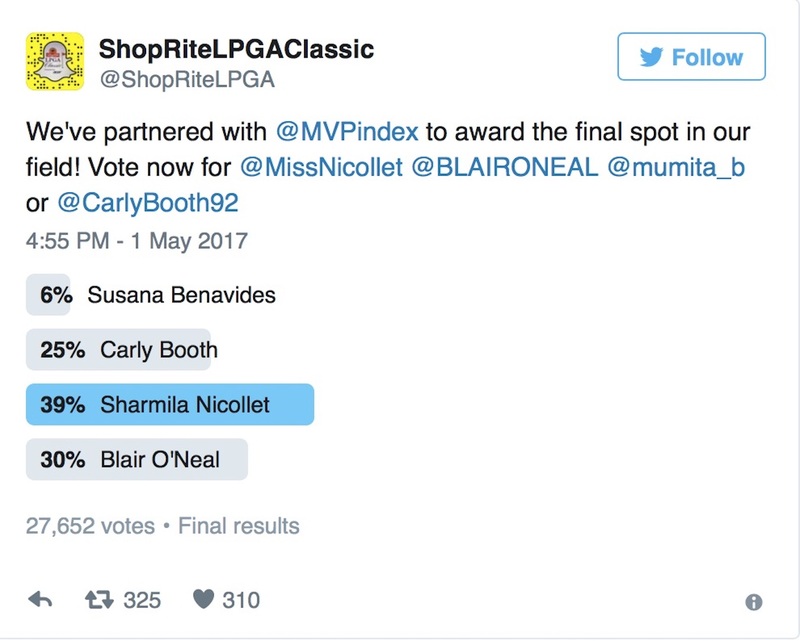 India's Sharmlia Nicollet beat Blair O'Neal to the top spot in a controversial Twitter poll to secure a sponsor's invite at the ShopRite LPGA Classic. But how did she get on? Well, not too good has to be the simple answer. She opened up with a 76, and followed that with a 78 for a +12 154. She missed the cut by 9 shots. The Guardian's Anya Alvarez wrote that she thought that the Twitter Poll was exploitative and not creative, but it did at least give the tournament some badly needed extra coverage. That Sharmila had 368,000 Twitter followers against Blair's 77,000 did the trick and she won by a comfortable margin. 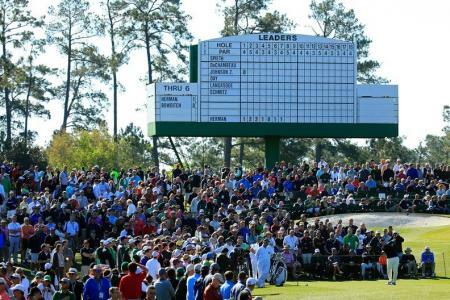 Sadly both Charley Hull and Melissa Reid also failed to make the cut. Charley shot 70, 76 and missed the cut by one shot, whilst Melissa shot 75, 71 to miss the cut by the same margin.